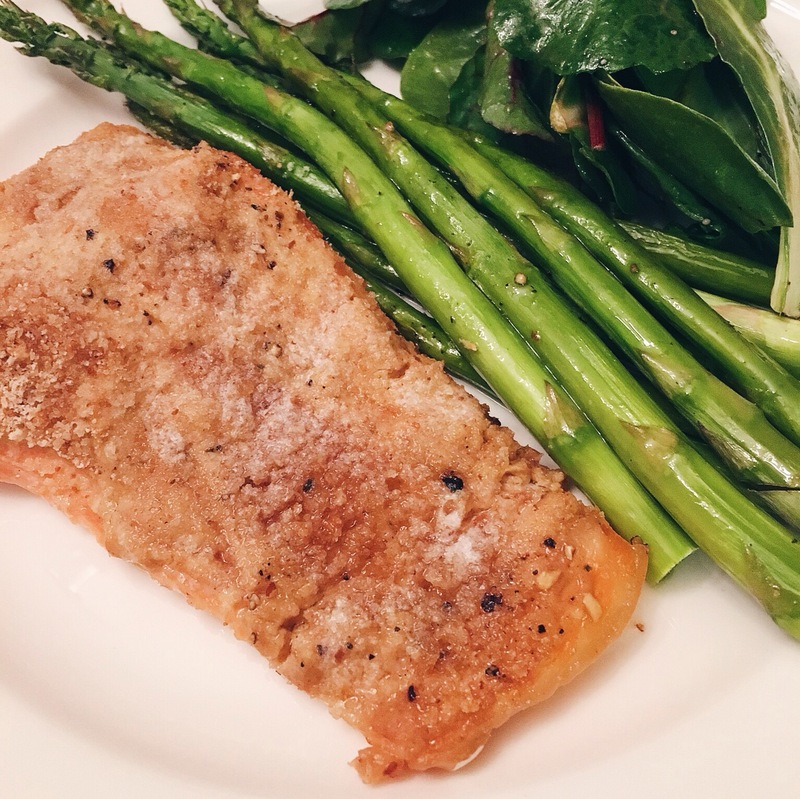 Here’s an easy one pan Salmon and Asparagus meal that only takes 5 minutes to prep and 15 to cook. As Ina would say “how easy is that!”, but seriously it is that easy, and no it has nothing to do with Ina. 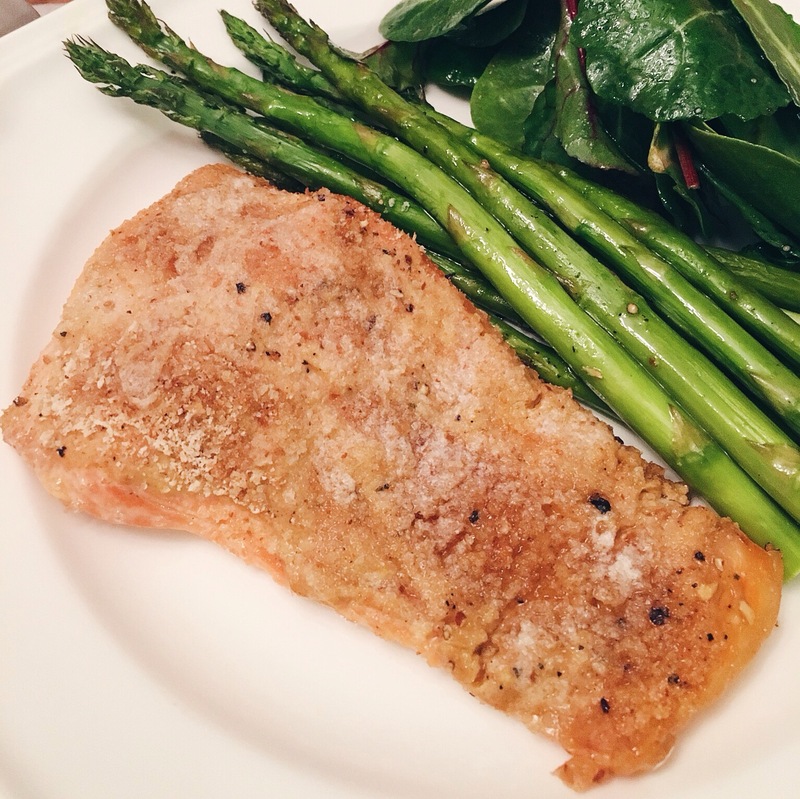 The salmon has so much flavor with the dijon, garlic, butter and breadcrumbs you don’t even need to add lemon! Also quick update from my post earlier this week. 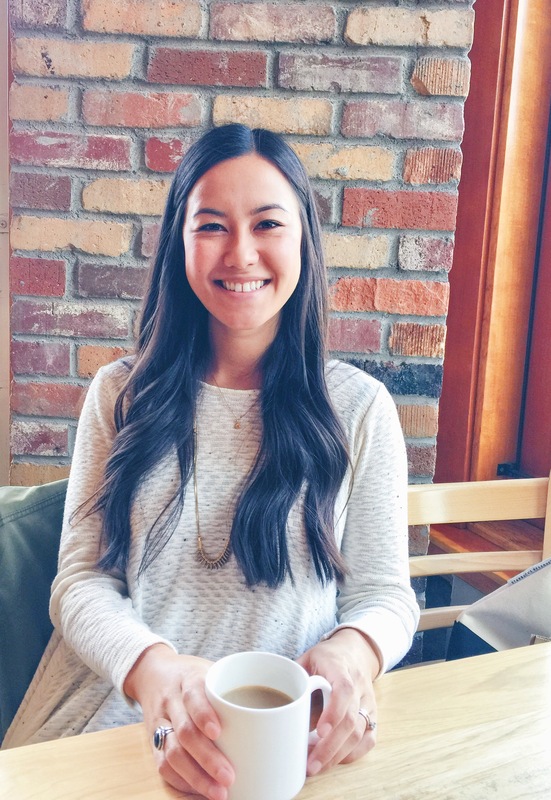 I am on day 6 of my 30 day yoga challenge and going strong! I only woke up early to do it one day, but the videos have been short enough to do them on my lunch. 🙂 I definitely enjoy doing yoga with day light coming through the window, it makes it even more relaxing. I always loved having salmon with butter and lemon and I still do, but now that I’ve got this recipe on my radar I doubt I’ll ever go back. 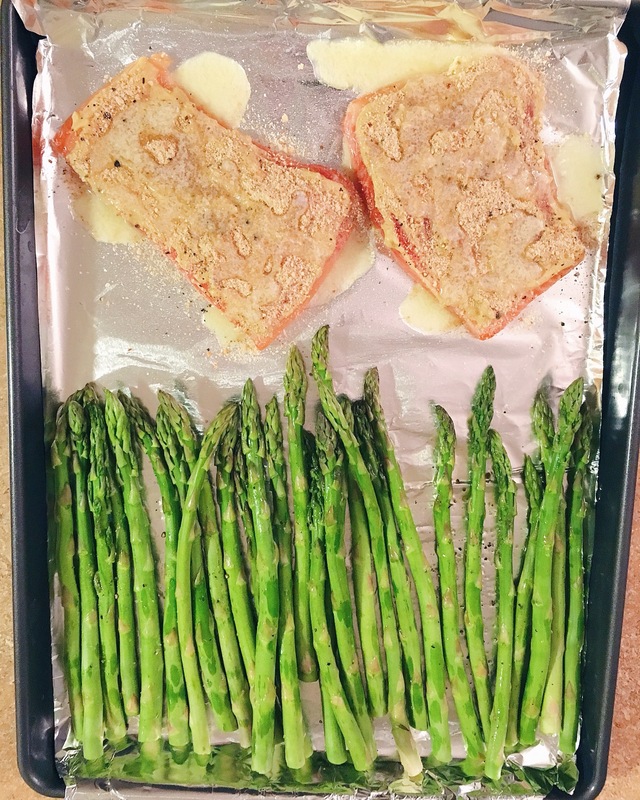 The salmon and asparagus get placed on a baking sheet. 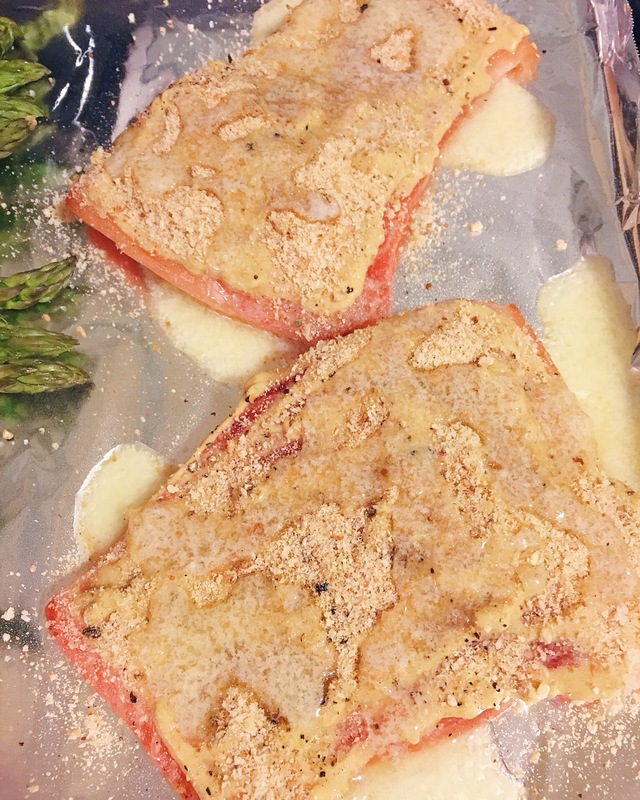 The salmon gets a good coating of dijon mustard with minced garlic, sprinkle of salt and pepper..
…then it’s topped with bread crumbs and drizzled with melted butter. The asparagus gets a drizzle of olive oil with salt and pepper to taste. …and that’s it! 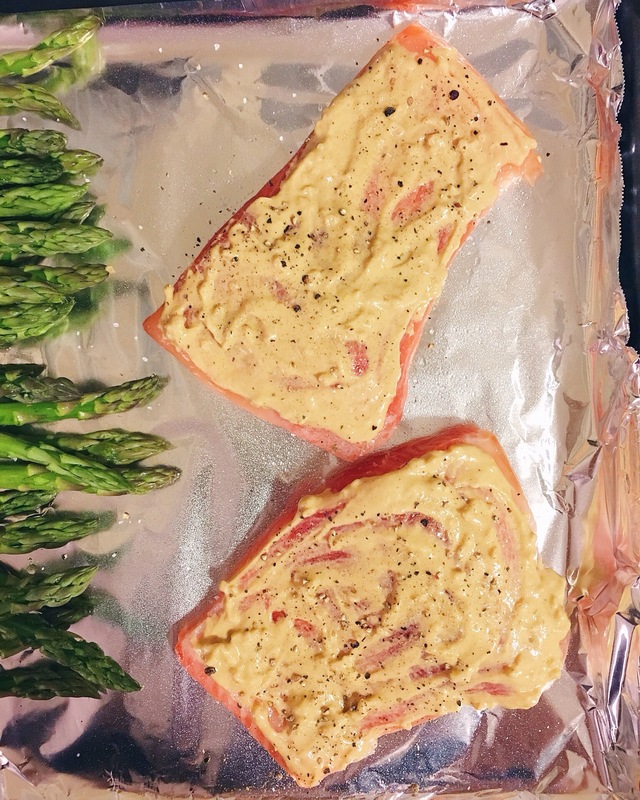 It goes in the oven for 15 minutes and voila, dinner is served! 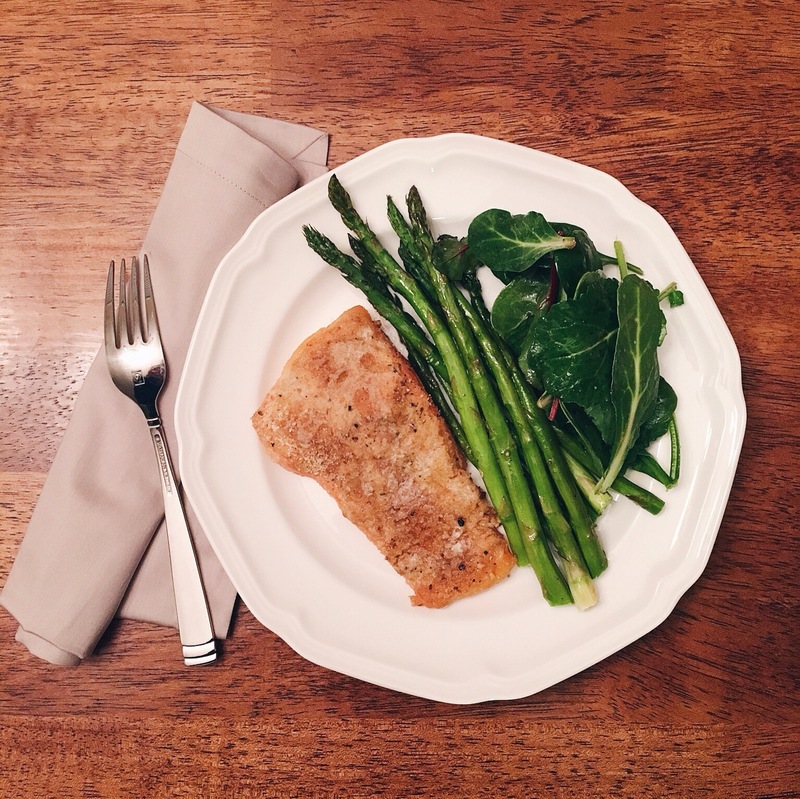 Give this meal a try for an easy, quick and healthy dinner! 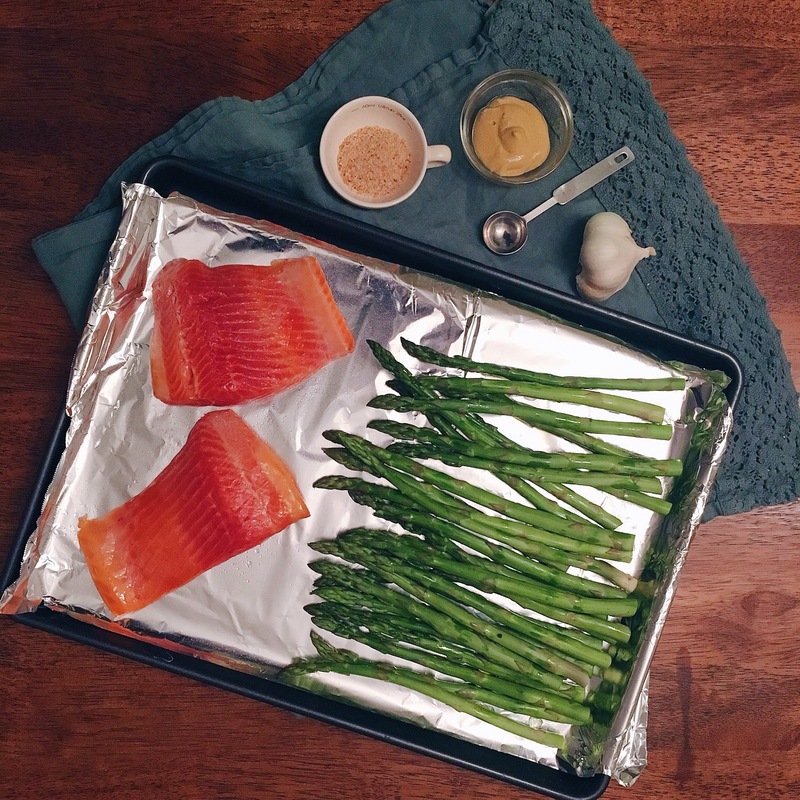 Line a rimmed baking sheet with aluminum foil and set aside. Wash and trim ends off of asparagus, and place on one side of the baking sheet. Drizzle asparagus with olive oil and season with salt and pepper to taste, lightly toss to coat evenly. 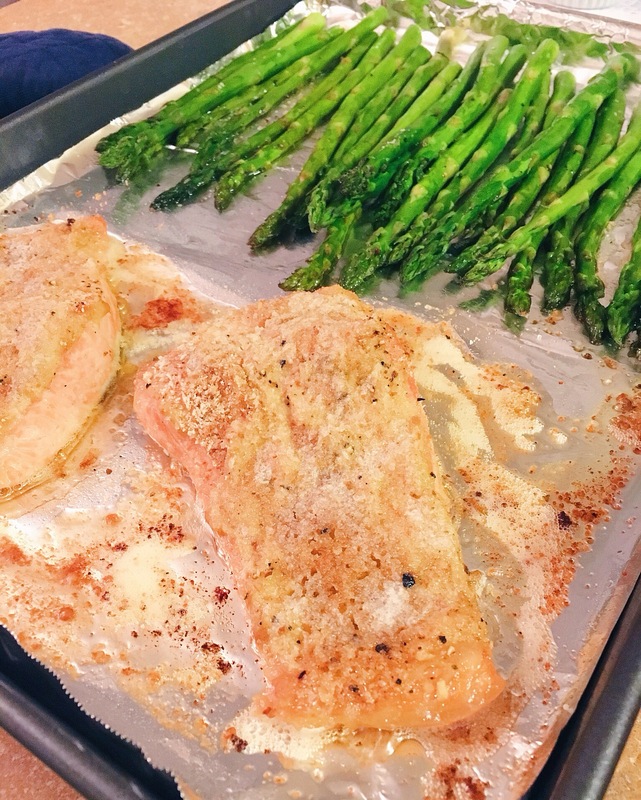 Lightly spray the other side of the baking sheet with cooking oil and place the two salmon fillets on that end of the sheet. 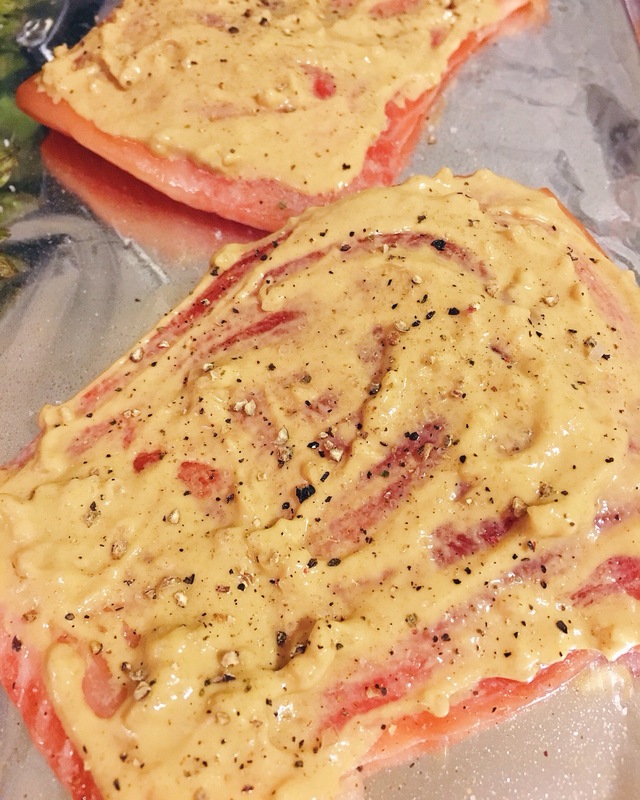 Mix together the dijon and minced garlic and spread evenly onto each filet, season each lightly with salt and pepper. Sprinkle each fillet with bread crumbs, and drizzle with the melted butter. Place the pan in the oven and bake for 15 minutes. Serve immediately. < Previous Change is a good thing! We made this tonight and it was delicious! Definitely my new go to salmon recipe! 10 more hours until signing day!! Mandy!! I’m so happy you liked it!!! 😘 miss you guys! And yes sooooo excited for signing day woo hoo!